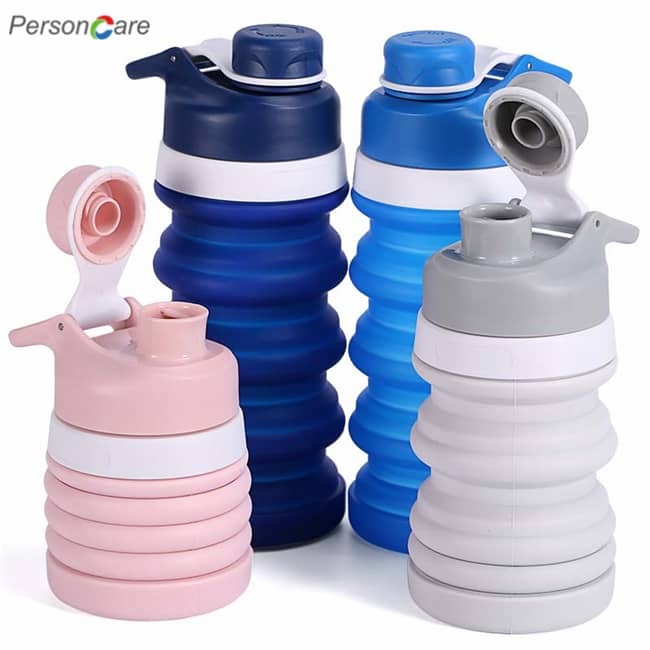 PersonCare's Collapsible Water Bottle Was Made of thick and flexible BPA-free silicone, the reusable Nomader water bottle maintains its sturdy feel for a comfortable drinking experience, yet it conveniently rolls up or squashes down when space is tight. Attached multi-function strap secures the flask in its folded position and makes it easy to carry when you're on-the-go. 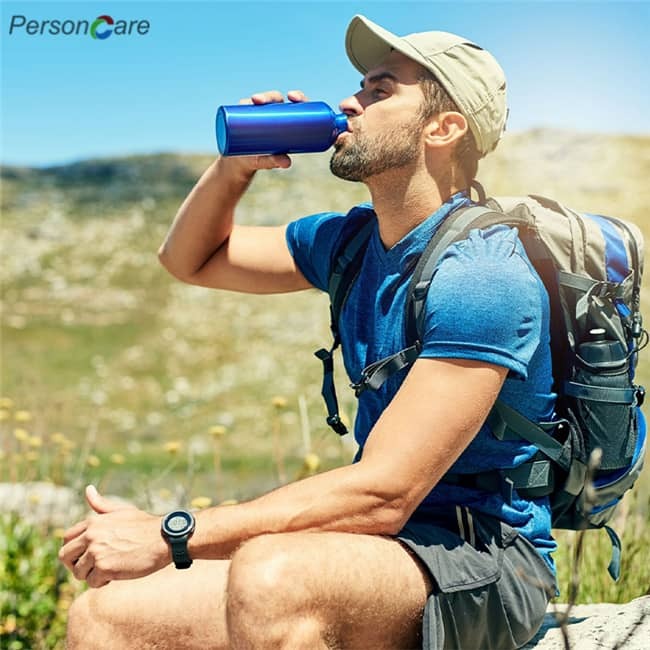 Healthy and Safety--This water bottle is made of medical grade (better than food grade) BPA-free silica gel and non-toxic, odorless material; approved by FDA in the U.S. Made from 100% medical-grade material. 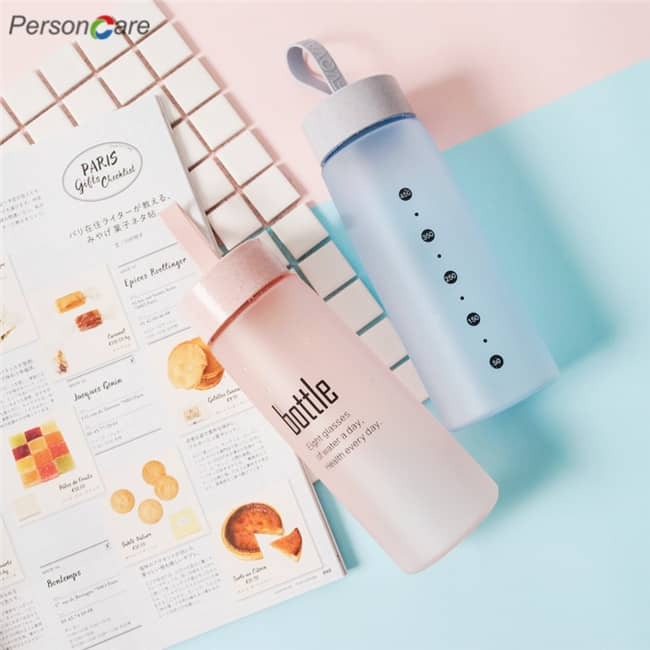 High Capacity--Large capacity water bottle of 750 ml, and only 155 g in weight; allows you to hydrate your body at any time; enjoy the outstanding design and convenience of this bottle compared to most products on the market. A check valve design prevent liquid to go out even if you hold it upside down. 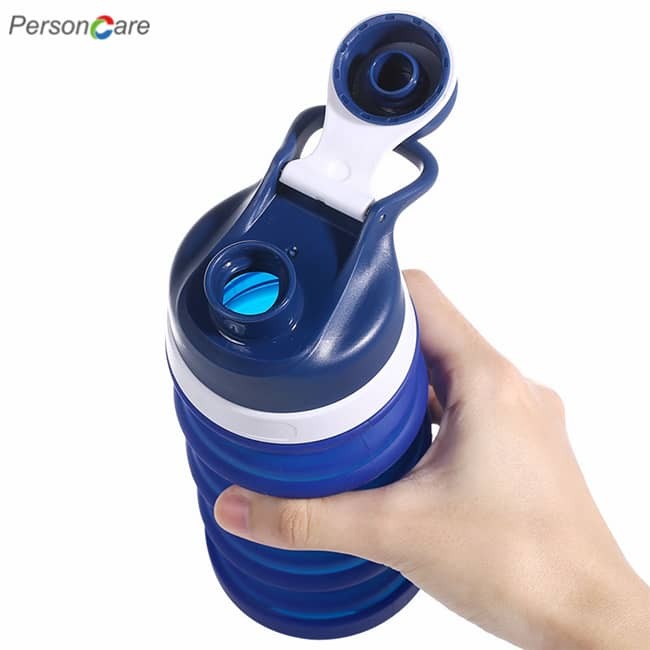 Leakproof--Wide-mouthed (63 mm) design makes it easy to clean the interior or add water and ice; the leak proof one-button switch opens the cap easily; the lock ring prevents the bottle from accidentally opening. 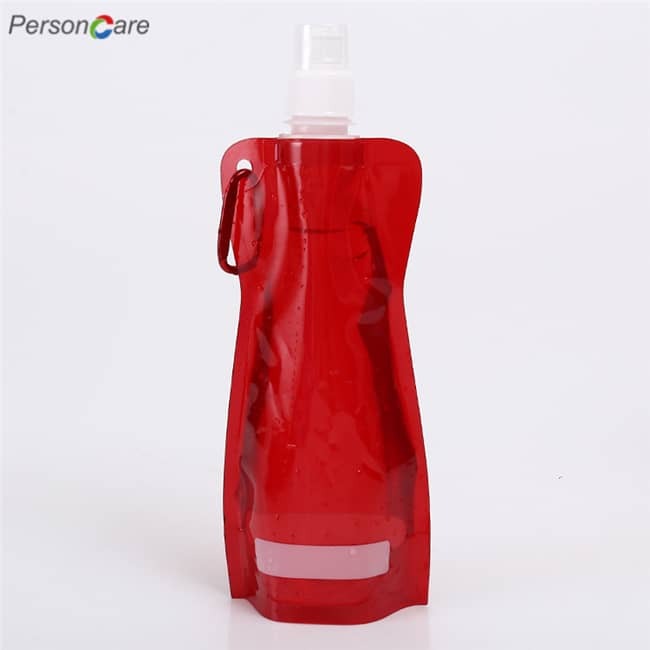 Collapsible--collapsible water bottle silicone allowed to be folded to 1/3 of the size for easy transport. Retainer band for clip-on and storage, stand stable even with less water. 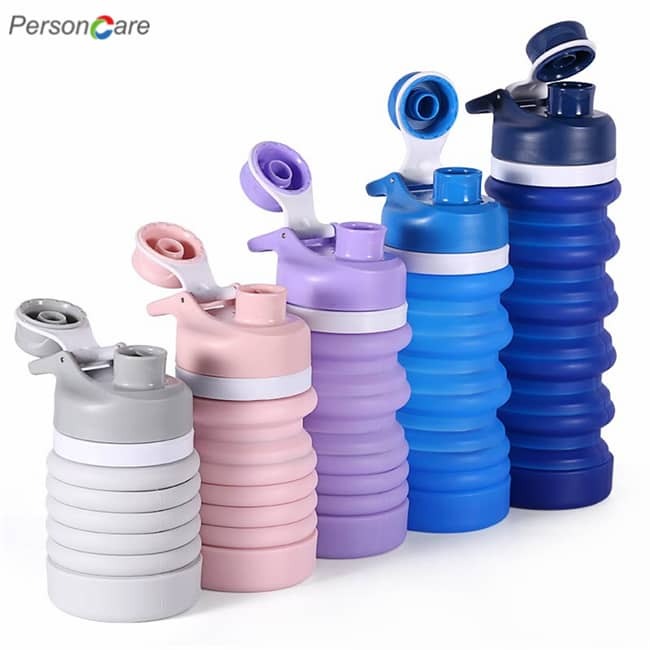 Wide Temperature--Endures a wide range of temperatures from -40℃ to 100℃; use with refrigerated or boiled liquids; crash proof and anti-collision design makes it a perfect companion for bicycling, running, swimming, outdoor activities, extreme sports, and more. Do you want to take your outdoor to the next level? 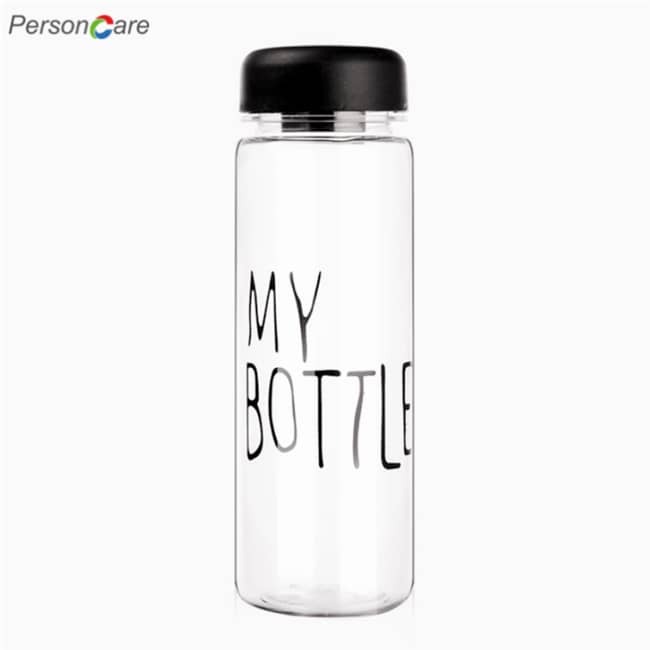 Then consider this travel water bottle collapsible with great features! 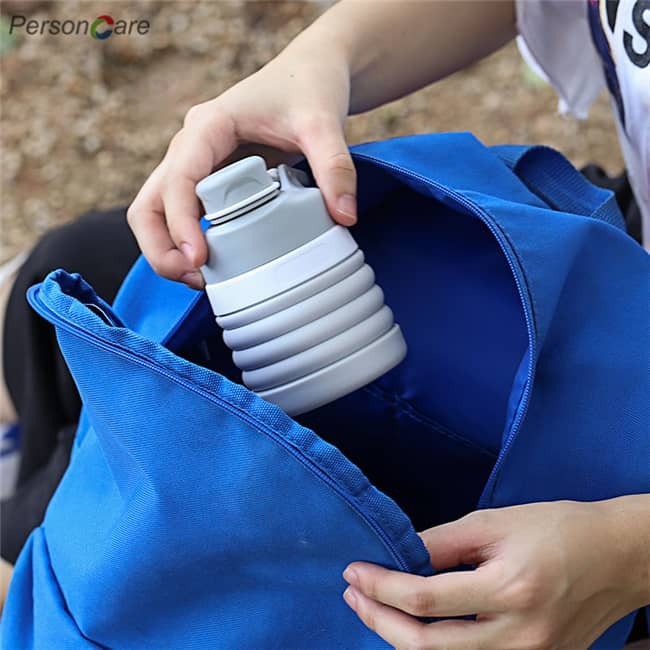 Collapsible water bottle is a fashion-forward, professionally designed to be the highest hydration solution for any outdoor enthusiasts and urban users. 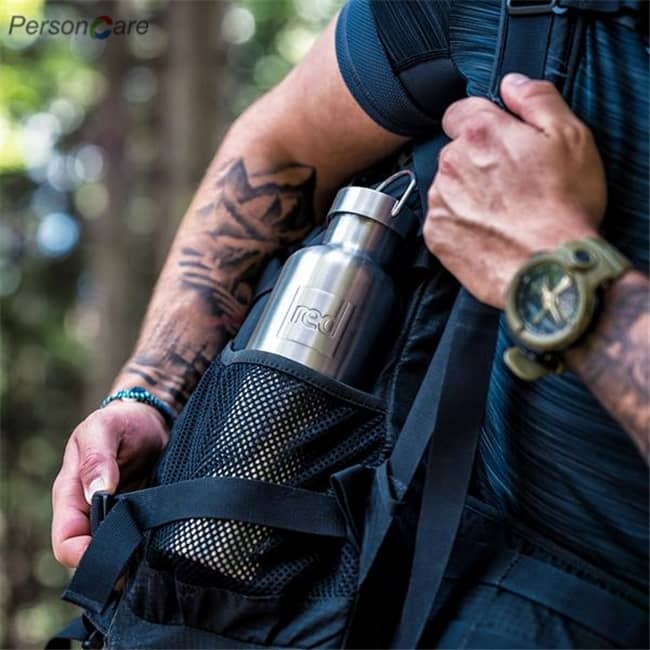 This bottle is crafted in stylish and modern look with a holder to carry about, on-the-go flip-top locking spout easily and quick drinks.Innovated spot water bottle professionally designed by our team of outdoor enthusiasts to take your biking, hiking, camping, and other outdoor activities to the next level. Perfect for any outdoor sports activities.